The following is an interview with D.R. Michel, Executive Director, Upper Columbia United Tribes (UCUT) on May 4, 2015. The Upper Columbia United Tribes (UCUT) are honored with the Ralph W. Johnson Water Hero Award for their work in restoring the Upper Columbia River region, including their central role in restoring salmon above Grand Coulee Dam. By honoring UCUT, this award also recognizes and honors all 15 Tribes and 17 First Nations of the Columbia Basin for their leadership in restoring salmon and the Columbia River. John Osborn (JO) Before we discuss UCUT, tell us about who you are. DR Michel My name is D.R. Michel. I am an enrolled member of the Colville Confederated Tribes My whole life I’ve lived in Inchelium until 2010 when I moved to Spokane to serve as Executive Director for UCUT. For over thirty years I’ve worked in natural resource management and forestry. For eight years I served for the Colville Confederate Tribes on the Business Council, and during those eight years chaired the Council’s Natural Resources Committee. Also served as the Commissioner for the UCUT for eight years. JO Tell us about UCUT – its mission and history – and role in the Upper Columbia River region. DR Michel UCUT is comprised of five tribes in the Upper Columbia: the Coeur d’Alene Tribes, the Kootenai Tribe of Idaho, the Colville Confederated Tribes, the Kalispel Tribe, and the Spokane Tribe. Responding to the opportunities of the Fish and Wildlife Program of the Northwest Power and Conservation Council, in 1980 four of the tribes started putting together proposals: Coeur d’Alenes, Spokanes, Kalispels, and Kootenai Tribe of Idaho. These tribes received appropriations and established UCUT in 1982. The Colvilles actively participated with UCUT, and joined the UCUT in 1999. UCUT provides a common voice for our region through the collaboration of our five major area tribes. UCUT was formed to ensure a healthy future for the traditional territorial lands of our ancestors and takes a proactive and collaborative approach for the protection, preservation, and enhancement of Treaty / Executive Order Rights, Sovereignty, culture, fish, water, wildlife and habitat. History shows that the tribes have always done that, looked after lands and waters in their care. We also have a history of helping others in need. The Lewis & Clark expedition survived because of repeated kindness shown to them by the tribes. Tribes helped fur traders and missionaries, providing food and shelter. Without our help, many of these people would not have survived. Our role in the Upper Columbia is to continue as stewards and protect lands and waters for future generations. JO Describe the importance of salmon to Tribes and First Nations of the Upper Columbia. Noted fisheries biologist Dr. Alan Scholz has quantified the number of salmon returning and their dietary importance to tribal people. But what about the cultural and spiritual importance of salmon, those deeper relationships between people and salmon? What can you tell us? DR Michel It is hard to describe the importance of salmon. They are at the core of our creation stories handed down generation to generation: “I give my body to feed you and keep you alive, and you in turn take care of me.” Scientists, Dr. Scholz and others, have estimated that salmon provided 80 percent of our diet. 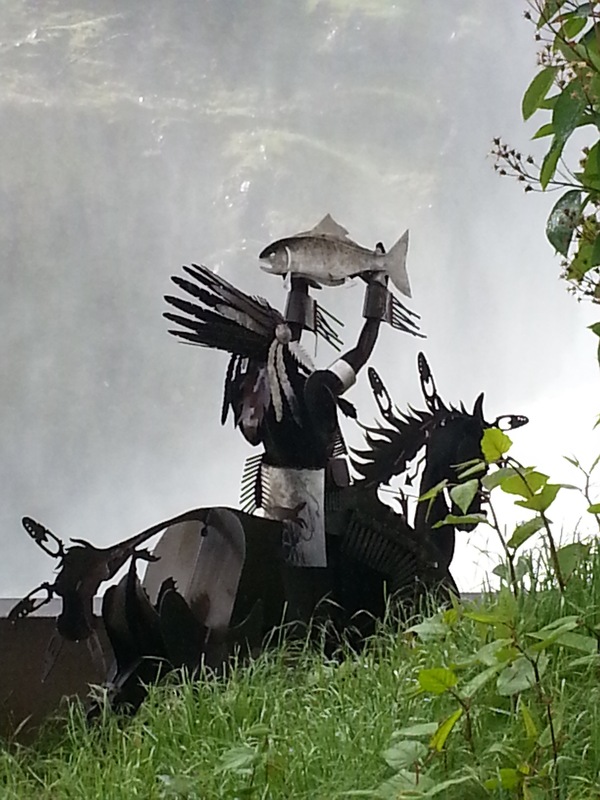 But salmon meant much more: our culture, our spirituality, and our ceremonies. Tribes followed the salmon. 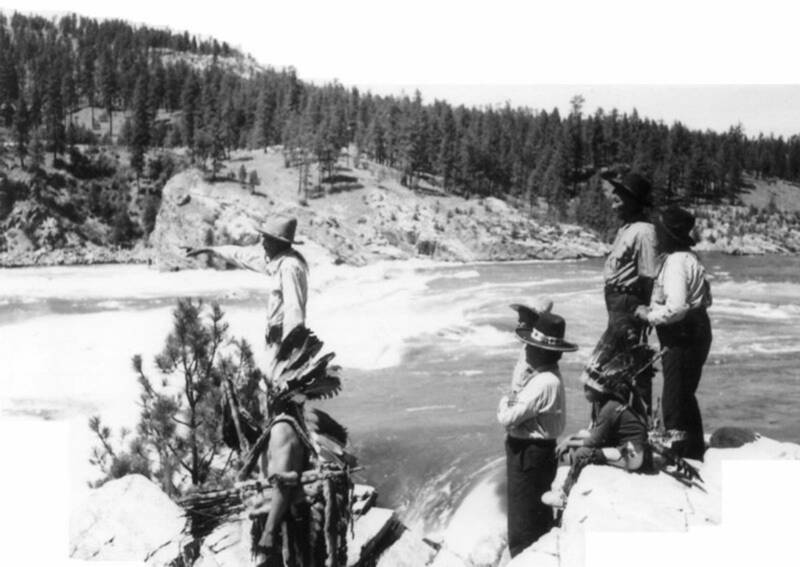 At Kettle Falls and elsewhere the salmon brought together huge gatherings of people. As a tribal member who never got to experience that, it’s hard to imagine just how deep the importance was. How they utilized the fish, and took care of them. We can only imagine what that was like. In this regard the Colvilles are in a slightly better position than the other four UCUT tribes because they still have a salmon fishery at the base of Chief Joe dam. The tribes shared the salmon then, and continue that practice today. Salmon meant far more than numbers of returning fish. Salmon were everything to us. JO So salmon were essentially life itself for the indigenous people? DR Michel A huge part of life. Our people worked all summer catching and preparing salmon to feed the people during the winter. We just didn’t catch fish. We had Salmon Chiefs to provide oversight. 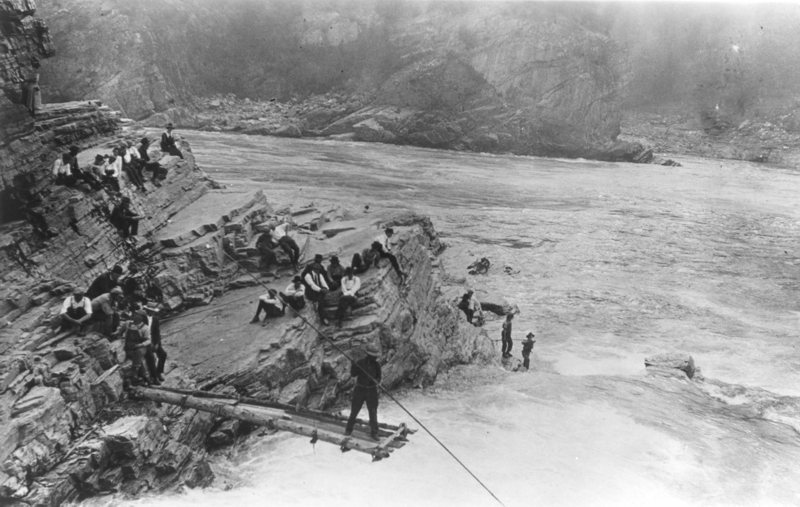 Salmon Chiefs would watch the run and the fishing, then stopping the fishing to allow salmon to pass through to the spawning grounds. Salmon Chiefs kept the runs strong. This was in keeping with our creation stories and part of our commitment that we made to salmon. We are salmon tribes. For us salmon are nearly everything. We don’t forget. Salmon are part of us and who we are as a people. JO In addition to salmon, what other fisheries were and are important to Native people in the Upper Columbia? DR Michel Before the development of the river, it was rich with lamprey, sturgeon, and other fisheries. They all had their own place in the system. The river was a functioning river. The tribes had different uses for those fish, depending on the time of year. The river was the lifeblood and lifeline for the tribes in this region. We traveled on the river. Our food came from the river. Reeds for basket weaving came from the river. Many of our cultural ceremonies centered on the river. JO Given the importance of salmon and the river, what were — and are — the impacts of the dams: blocking the salmon from returning, and permanently flooding the river valleys of the Upper Columbia? DR Michel Devastating. In one word: devastating. Not only for the tribes, but to the entire river. For thousands of years the river provided our food and so much of our life. For the fish, the dams are devastating. For our culture, the dams are also devastating. A lot of people can’t bring themselves to talk about it. Authorities came and rounded up our people, told them they had to move. Told them they had to move from their land. As the waters rose our people had to leave behind our ceremonial places, our burial grounds, our fishing sites. Our ancestors’ remains are underwater. The operation of the dams causes water levels to drop and rise, unearthing those remains. Think about your family — and where your ancestors are buried. Now imagine the government flooding those graveyards. The water unearths your family members resting place, – then imagine people looting and stealing your ancestor’s remains, selling and collecting them. Imagine, for us this is ongoing and terrible: our ancestors are continually being unearthed by river operations. JO So the dams and reservoirs took not only the river but a whole way of life that the river sustained from time immemorial? DR Michel Yes, that was taken away from us. The salmon, yes, but also much more. The use of the river. Our ceremonial grounds. Our creation stories. All those connect to the river. After they built the dams and closed the gates and the waters began to rise, they moved some graves but not very many. In Canada it was bad too. Officials were loading up people and burning down houses. JO Describe the Common Views document and how the 15 tribes with management authorities in the Columbia Basin came together, set aside their historic differences, and came to speak with one voice on the need to modernize the Columbia River Treaty. DR Michel Tribes got together early in the process of reviewing the Treaty. UCUT talked about the changes we need. So did CRITFC [Columbia River Intertribal Fish Commission], USRT [Upper Snake River Tribes], the Cowlitz Tribe and the Salish & Kootenai Tribes. 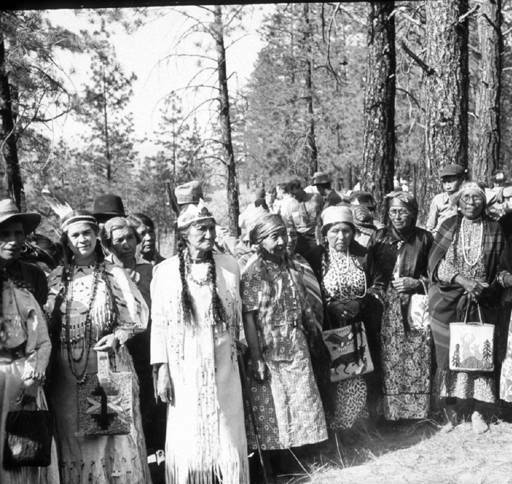 The federal government was trying to set up a consultation process for tribes relating to the Treaty. The 15 tribes with management authorities in the Columbia Basin on the U.S. side – represented through UCUT, CRITFC, USRT, plus the Cowlitz Tribe and Confederated Salish and Kootenai Tribes — came together and talked about how we could work together. We talked about creating a third purpose for the Treaty: ecosystem function. We went through a process where each tribe put down all the issues relating to river operations, and changes we each wanted. Then we took those views and put them all together. We looked at those issues and found that overall we had a lot in common. We talked about how we could be more effective as a group and should work together to have influence in the modernization of the Columbia River Treaty. That’s how the Common Views document came together. The Common Views involve ecosystem function, governance — a seat at the table and fish passage. The Common Views document was used throughout the process. The Tribes set aside our differences in the upper, middle, and lower river to work together and protect and enhance the river. From the Upper Columbia it seemed like most of the mitigation was going downriver. Not a lot was happening in the blocked area [above Grand Coulee and Chief Joseph dams]. However, we set aside a lot of those issues to focus on a modernized Columbia River Treaty to incorporate ecosystem function. And the 15 tribes, working together, have succeeded in getting ecosystem function incorporated into the Regional Recommendations from the U.S. Entity [Bonneville Power Administration and the U.S. Army Corps of Engineers] to the [U.S.] State Department. Early on in the process the U.S Entity pushed back on the tribes: it’s just the tribes who want passage for fish; it’s just the tribes who want ecosystem function. But while the tribes are in a leadership role, these issues are all of our issues, and we need to work with them together. Modernizing the Treaty gives us a chance to right some of those historic wrongs, and to operate the dams as a system to better manage the Columbia River as one river from the headwaters to the estuary. Through a modernized Treaty that becomes possible. We have to do it. Some people are saying we can’t afford to incorporate ecosystem function or fish reintroduction into the treaty, we are saying we cannot afford not to do it. We can’t continue to operate this river in sections. If they truly are going to mitigate for those loses, making those changes is the only way it’s going to work. What you do in the upper river affects the lower river. Negatively impacting the river in one section impacts the whole. Making these changes is possible. Just as the tribes have put aside their difference, federal, provincial and state governments need to put aside their differences too. We can manage the river as a whole while still meeting the needs of flood risk management, energy, navigation, and other uses. Everyone can benefit by managing the system as a whole by adding ecosystem function to a modernized Columbia River Treaty. Tribes have put aside their differences, then so should Canada and the United States and provide the benefits to all people. JO Tribes and First Nations were excluded from negotiations between the United States and Canada leading up to the current Columbia River Treaty. 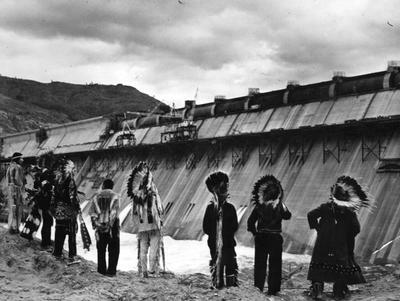 Both federal governments failed to consult with the Tribes and First Nations, and denied them any meaningful role in governance of the Columbia River. DR Michel It was the 1950s and ‘60s. Tribes were fighting termination. For thousands of years the tribes had done natural resource management that sustained the river. The U.S. government and Canadian government, didn’t have that capacity, all they saw was a river that needed to be tamed – a river that could be used in the name of progress. Governments didn’t ask or look at what effect their decisions would have on the river or the people, they saw the opportunity to develop. Through the years tribes have developed the capacity to not only be involved in this process, but to influence it for the benefit of all users. During the construction of Grand Coulee dam, the United States asked the Canadian government if they wanted the salmon to continue returning to the Upper Columbia, Canada said “no.” So the U.S. proceeded with Grand Coulee dam without fish passage, devastating a whole way of life for our people and all people that lived on the river. They never consulted with the tribes. The U.S. government built their big dams, providing jobs, generating power and cheap electricity rates, irrigating the desert to feed the world. When it came to the tribes we saw all the benefits go down river. They replaced the salmon with cans of tuna and salmon. The cheap power goes down river, the irrigation goes down river, and the tribes are left in the blocked area struggling with the loss of the river and a whole way of life. That lack of consultation was just the way they did business back then. They didn’t feel they needed to consult the tribes. It is all about the money. JO There is still great bitterness in Canada’s portion of the Upper Columbia. Thousands of people — indigenous and nonindigenous — were forced from their homes with the flooding of the river valleys by the Treaty dams. DR Michel Throughout the Upper Columbia in both Canada and United States, none of us weretreated very well. For Tribes and First Nations, you’ve lived on these lands for thousands of years, and someone comes in and tells you they’re going to flood it and you’ve got to move. They compensate you in the form of money or land – but it’s not your home — your land — where you ancestors are buried. They were in such a hurry. They didn’t give us the time we needed to move. They were supposed to log the reservoirs. But they didn’t have time. In some of the reservoirs they didn’t even fall the forests in the river valleys. The just left the trees standing — standing on the stump. These underwater trees would rot off. The trees would occasionally shoot out of the water, like a spear, and fall over. They didn’t treat us very well on either side of the border. All in the name of progress. They got to control the river. To provide occasional protection against high water in Portland, they built dams that created reservoirs permanently flooding our river valleys. We lost nearly everything to benefit Portland and Vancouver for floodplain real estate development, irrigation, and navigation. JO What is the role of the 15 Tribes and 17 First Nations with natural resource rights and management authorities in encouraging both the United States and Canada to modernize the CRT – and specifically, adding a third primary purpose of Ecosystem Function equal to hydropower and flood risk management? DR Michel The Tribes have developed the ability to manage our own resources and the capacity to be involved in the Treaty process. Through the years the federal government consults with the tribes. Most of the time, that means the federal government telling us, “Here is what we’re going to do. We’ve consulted with you.” We’re not involved with the development of those positions. We’re not really consulted. They check the “we talked to the Tribes box,” then go ahead and do what they want to do. Tribes have pushed back hard. We don’t want to be just talked to. We want to be involved in developing those positions. We have a lot to offer. We are the historic managers of the system. There are a lot of things they could do differently than what they’re doing. They talk a lot, but they don’t listen. You can’t hear if you’re talking. It has gotten better, mostly because of tribes pushing back, and demanding their right to be involved — our right to manage our resources. We do this for future generations. We are all here only for a short time. What we do now impacts those future generations. The river can continue to be negatively impacted — or we can turn that corner to help future generations. JO Thousands of people sent in letters of support to add ecosystem function as a primary purpose of the Treat — and to add a voice for the river to the U.S. Entity managing the Columbia River. When the U.S. Entity submitted its “Regional Recommendations” to the State Department, it included adding ecosystem function to the Treaty. In many ways this is evidence of the tribes’ leadership. DR Michel These are only Recommendations. This is not a perfect document. It covers a lot of the issues. One concern is that it’s only a recommendation. We’re still waiting for the federal government to act. It’s an important document — and currently sits on someone’s desk in D.C. as a recommendation. We won that battle to get it into the Regional Recommendations, but we’re still fighting to make sure it happens. It’s not for us now. It’s for our future generations. JO Another treaty, between the United States and Great Britain, drew the international boundary straight across the Columbia Basin. Indigenous people had no voice in the Oregon Treaty either. Families were divided as people had to choose whether to go north or south of the new political line. The story of what happened to the Sinixt Nation in subsequent years is especially heartbreaking. Because the tribes of UCUT have historic connections with First Nations, are there unique opportunities to insist that the United States and Canada manage the Columbia as one river? DR Michel The First Nations of the Upper Columbia are salmon people, just as we are. Closing the gates at Grand Coulee was devastating for them as it was for us. It is much more difficult for First Nations in Canada. There is not much process for First Nations. First Nations don’t have reservations. The Canadian Federal Government doesn’t recognize reservations. First Nations are still in the process of creating a Common Views document, coming together and setting aside their differences, just as the 15 Tribes have done. We try to help out. But we have to be respectful of First Nations. They’re basically saying the same thing we are: we all need ecosystem function and fish passage — and a meaningful voice in governance of the river. JO Describe the role of UCUT in restoring fisheries in the Upper Columbia, and specifically with providing passage for salmon at Chief Joseph and Grand Coulee dams? 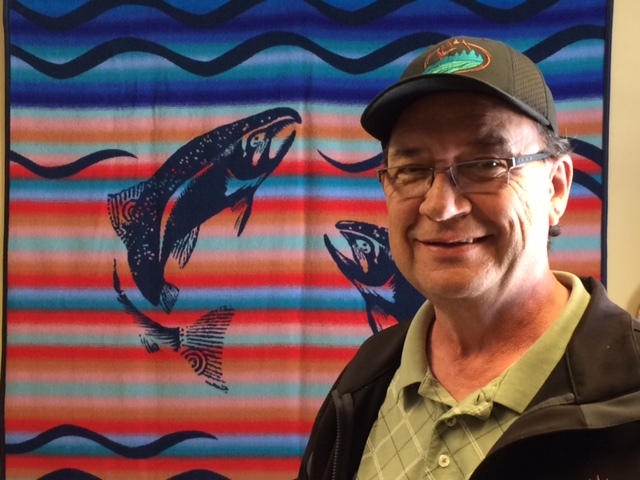 DR Michel UCUT is coordinating the process for anadromous fish reintroduction, working with many others including other tribes, the Northwest Power and Conservation Council, and BPA. We see the major role is public education about those issues that affect us all. Education includes discussing the benefits of ecosystem function, fish passage, and ecosystem services. That whole part of our economy was changed with the blockage of the fish. Before the dams, our economy wasn’t necessarily about the money. Food and goods were traded and used to get through the winters and to survive. That economy revolved around the fish runs. We could have that part of our economy again by managing the river for ecosystem function and ecosystem services. To get there will require public education and public involvement. We’re in the process of assessing the value of ecosystem function. Historically the tribes are not comfortable with putting a monetary value on those resources. Today everything revolves around profit and the bottom line. We’re not managing our resources, we’re exploiting them. If we continue down this road, there is nothing for the future. That’s why we are doing the work we do as stewards of the river. It’s our duty to protect the river, and leave something for the future generations. Each of us must demand, not ask, they return the salmon and restore the river. And we must do this as a region, as a state, as citizens. Each of us as individuals and together have the ability to quit asking and start telling. Our taxpayer and ratepayer dollars pay for their salaries. I haven’t seen them looking out for my interest. All I see is the bottom line, and they just want to put more money in it. For this once and future salmon fishery, we need everyone to be involved. This is about our region and our community. For this to happen people have to come together. JO Given the damage during the 200 plus years since Lewis & Clark and David Thompson first stepped foot into the Columbia River, and climate change unfolding with rising water temperatures and melting glaciers, what can people do to help Tribes and First Nations in trying to protect and restore the Columbia River? DR Michel We’re back to the need for educating our selves, and the need to listen. Not just listen with your ears, but listen with eyes, your heart, your mind, and understand what’s going on here. If you’re talking, you can’t hear. Right now, all they do is talk. They don’t listen. They spend millions on studies that never go anywhere. They don’t listen. If they don’t like the results, they do another study and spend millions more. We’ve got to start putting politicians in office that listen. We need to stop asking and start demanding that these things be done. For that to happen will take all of us as a community and a region. For the tribes it gets frustrating to be out in front doing this work. But that’s what we’ve been doing for thousands of years. We have no place else to go. This is home. I would hope all people could look at it that way. This is home.